Vicki Renae Campbell was born in Monroe, Louisiana. She is the daughter of Bishop Levi and Margie Robinson, who are both the founding Pastors of Holy House of God Church of McComb Mississippi. Vicki met her husband initially as a young girl unbeknownst to him. In her teenage years, she discovered that they lived in the same neighborhood, and they soon began to date. They were soon married in 1984. They moved to El Dorado, Arkansas where Tim landed a job with Murphy Oil Corporation. In May 1995, they started their first church, Shining Light Christian Center, where God used them to touch many lives, and are still connected to many to this day. Vicki has assisted her husband in many different areas of administration and helps in the ministries. As the First Lady, she served as the founder and coordinator of the Women’s Ministry, where they not only ministered the Word of God to hurting women, but they also ministered with their substance and service, by going to those in need to cook, and clean for. She served as the Director of our main youth initiative called F.O.C.U.S., which stands for Friends On Course Understanding Situations. Many of her responsibilities in this role included going into various schools teaching abstinence, an after school and summer enrichment program, not only teaching abstinence, but also many other coping and behavioral skills. In September of 2007, she moved to Houston Texas, along with her husband, embracing the next assignment God had for the two of them. For the next eight years, her and her husband would evangelized in various cities and states, such as McComb, Mississippi, Monroe and Farmerville, Louisiana, El dorado Arkansas, and Houston and Sugar Land Texas. In October of 2017, she joins and stands alongside of Pastor Tim with bringing to past what is believe to be an assignment that encompasses what is believed to be a big part of the next mighty move of God in this end time with The Body of Believers in Christ. Vicki has a strong love for God’s people and His word, and a desire to see the Body of Christ rise to their greatest potential, by applying through practical application the Word of God in their everyday life. She teaches with such simplicity, and the messages are well remembered, with a clear and concise understanding of biblical truths, with an emphasis on walking it out with victory in every area of life. 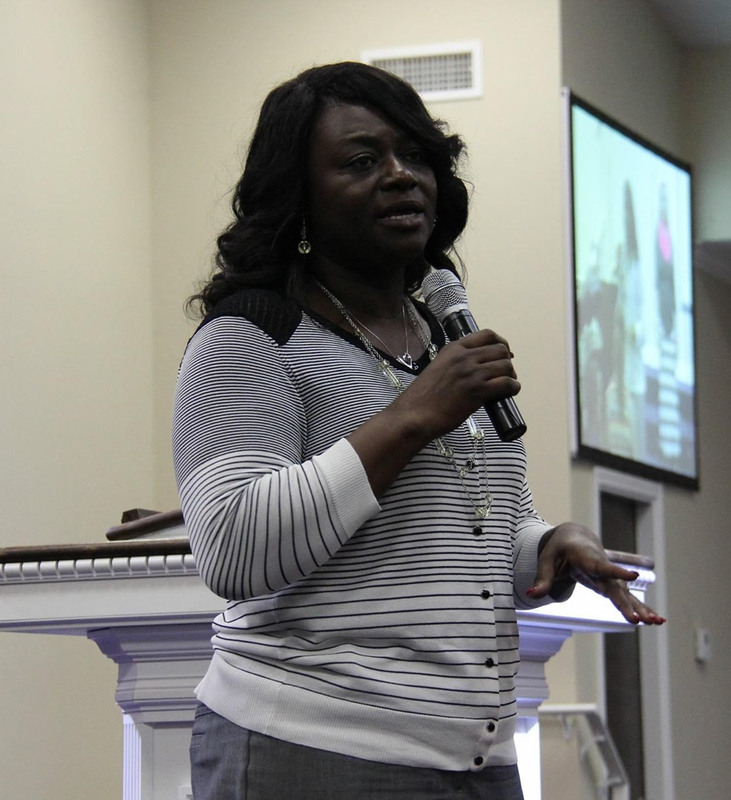 She is a licensed minister, ordained in March of 1995. She has served as a Godly role model for countless of women as she also fulfills her roles as a wife, mother, and friend.